Alo people, I’m here today to review the second part of the set I got from Belif for being a BNTgirl. The first part of the set was the cream, which you can read about here. 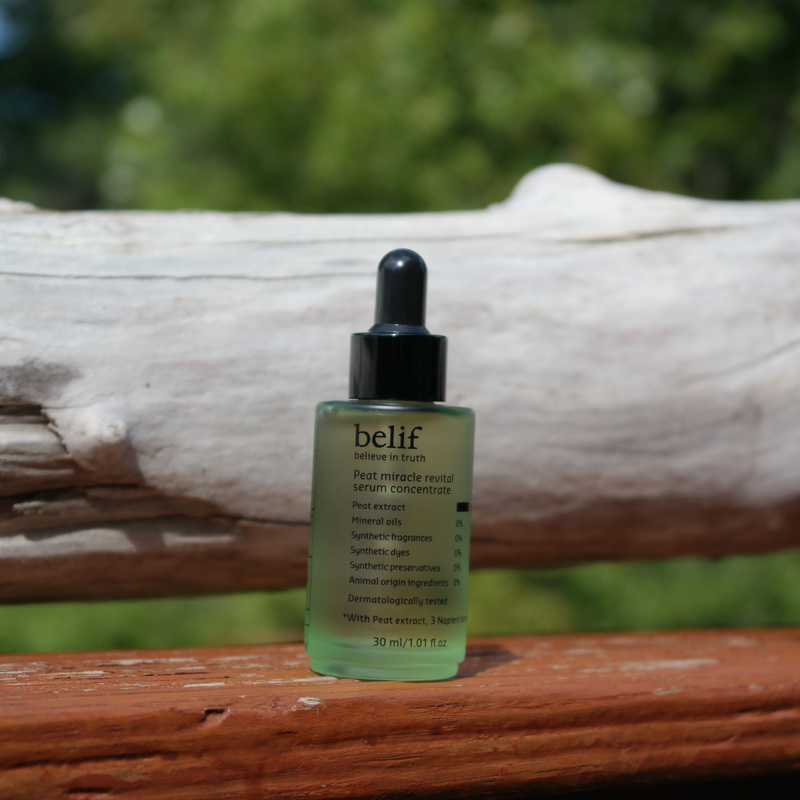 The serum is suppose to help with cell turnover, dullness of the skin and is used as a preventative for wrinkles. Aka “revital”-izing your skin! 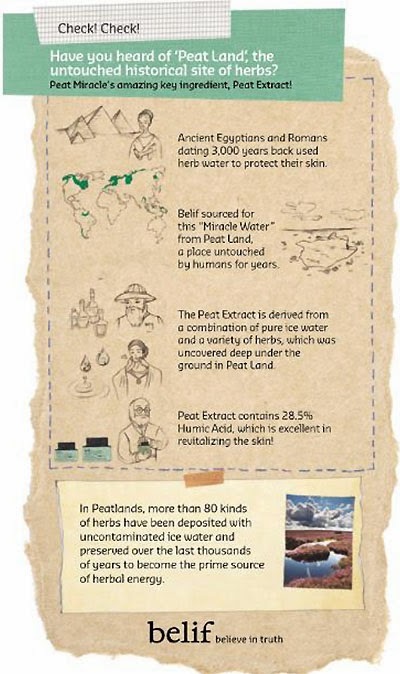 What’s so amazing about peat itself you may ask? Well read below for some more information about Peat itself. It comes in a super cute bottle, like the cream it comes in a green-glassy container. Super cute. So visually it’s really pretty/cute off the bat. The serum is released with a super cute dropper, it’s recommended 2-3 drops is more than enough for your face but I’ve been using 3 everyday just for good measure to get all of my face. Like the cream, it smells earthy/herbaly but still in a good way, the scent is a bit stronger in the serum than it is in the cream, probably because the serum is more concentrated. It still doesn’t smell bad, it just smells more earthy which I like more than vanillas/florals. Overall I think this is an okay serum, I prefer to stick to my iSOi Bulgarian Rose Blemish Serum (reviewed here), because I tend to have small blemishes and I’m not truly worried about the dullness of my skin, yet. But it’s quite pricey as serums are, you can buy it on amazon here for $53. I’m giving this product a Doris 7.5/10.